Wanting a deeper sound? 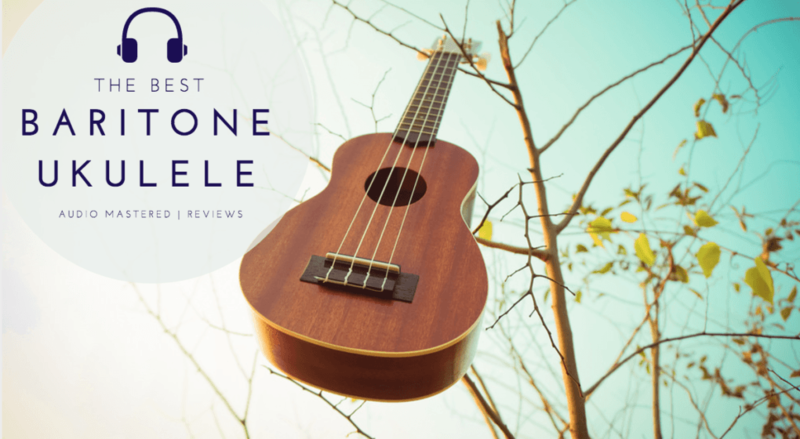 The baritone ukulele stands out among the ukulele family with a deep, full sound. The biggest of the ukes, it's tuned lower to D-G-B-E. This tuning will be familiar to guitar players as it is the same as the bottom four strings on a guitar. You won't get the bright, crisp sound of a soprano, but you will be able to achieve a larger projection due to the increase in body size. We've selected the best baritone ukuleles on the market for your viewing pleasure. We'll quickly discuss a few key points to consider when selecting your baritone ukulele and then get straight to our picks. ​Choosing a ukulele does not have to be difficult. 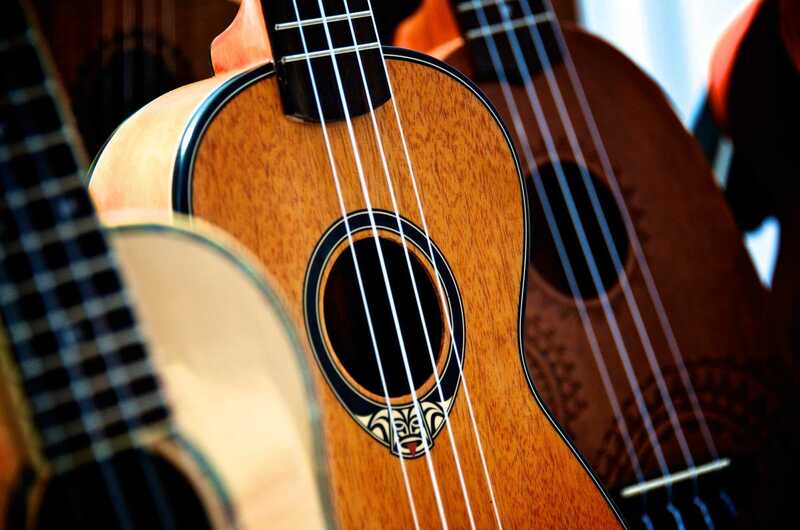 While it can be a challenge purchasing a musical instrument online without actually hearing it, you can still get a great feel for the character of the ukulele by considering a few key characteristics. Let's get started! There a few main features of the ukulele that will determine its tone, quality and price. We like to keep things simple and just focus on the tonewood, strings, and overall build quality. ​Before we get started, you should be aware that the baritone ukulele is tuned differently from other sizes of ukuleles. A ukulele is usually tuned G-C-E-A. However, the baritone is tuned D-G-B-E. While it will be possible to find popular songs in this tuning, you may have difficulty finding tabs for more obscure songs. With that out of the way, let's jump in. The tonewood of your ukulele will be responsible for the character of the tone. Similar to acoustic guitars, ukuleles live or die by the wood they are constructed of. Higher end ukuleles will have solid wood bodies, while budget friend ukuleles will usually consist of layered wood. This distinction only becomes important when your ears are mature enough to notice the difference. If you are just starting out, don't be concerned if your ukulele is made of layered (or laminate) wood. These typically sound a little better right out of the box, but age less gracefully. Agathis or mahogany are both great options for beginner to intermediate level ukuleles. Luckily, this one is pretty simple. You want Aquila strings. They are the industry standard. Ask anyone who has spent any time playing the ukulele and they will preach the quality of these strings. If you are slightly disappointed by the sound of your ukulele, you may want to consider upgrading the strings. A quick string upgrade can make a huge difference in the overall tone of your ukulele. The build quality is usually determined by the company controlling the QA. Try to stick with the trusted ukulele brands (Kala, Cordoba, etc.) as they have great reputations for producing ukuleles that last and don't require much adjusting. The build quality can also be a function of price. You should expect finer details in the more expensive baritone ukuleles and be a bit more relaxed with the entry-level. That isn't to say your entry-level ukulele shouldn't last! Check out the video below for some inspiration as well as a demonstration of what is possible with a baritone ukulele! The first up on our list and the most budget friend: the Caramel CB103. While not exactly a household name, the CB103 from Caramel is a serious bargain. 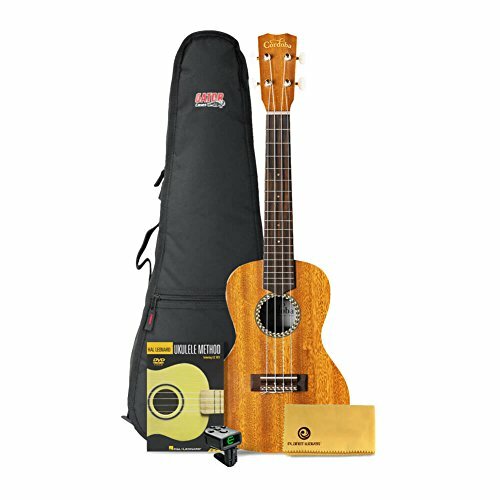 It's the only ukulele on our list that offers any electronics. It also comes factory strung Aquila strings (the most popular strings on the market). While not a common tonewood, zebra wood is known for well defined basses and trebles, good volume and excellent distribution of voices. It's similar to Maple with slightly darker overtones but with less resonance. It also gives the ukulele a stunning appearance. The customer feedback has been very positive. 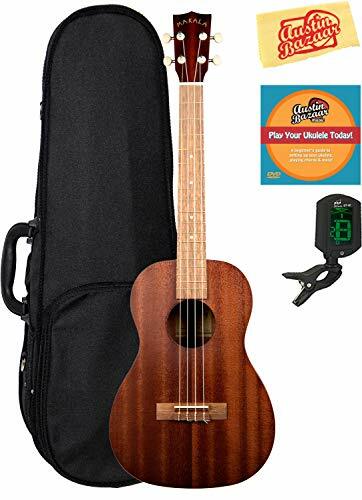 Many people have commented that the sound trumps ukuleles four times the price. This would be a great entry-level ukulele for a beginner or anyone on a budget. Great value for money. 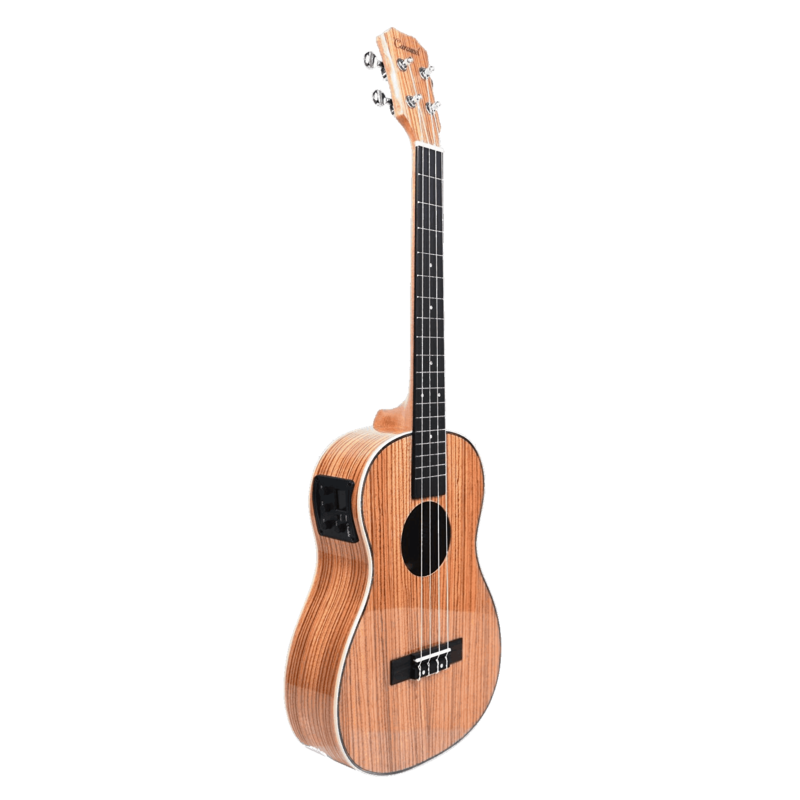 The only acoustic/electric ukulele on our list. Bottom Line: We have nothing negative to say about this ukulele. You will be pleasantly surprised by the tone and quality of this entry-level baritone ukulele. The second and most popular on our list: Kala MK-B Makala Baritone Ukulele. It's a very well received bundle package with over 639 reviews and an average rating of 4.5 out of 5. 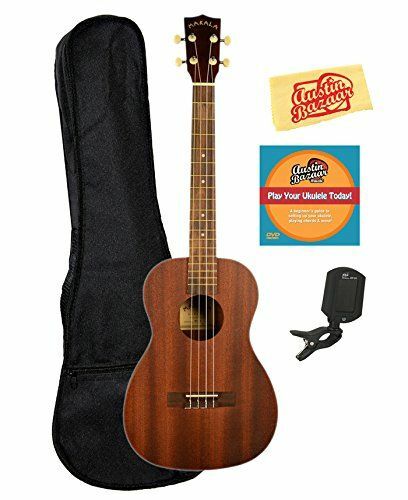 This is the perfect bundle for anyone looking to get into plaything the ukulele. It provides you with a gig bag, Austin Bazaar instructional DVD, clip-on tuner, and polishing cloth. You'll be happy to know that it also comes with Aquila strings - the industry standard. The agathis body provides a silky appearance with a well balanced sound. The Rosewood fingerboard with fret markers will stand up to years of fretwear as it is an extremely hard wood. 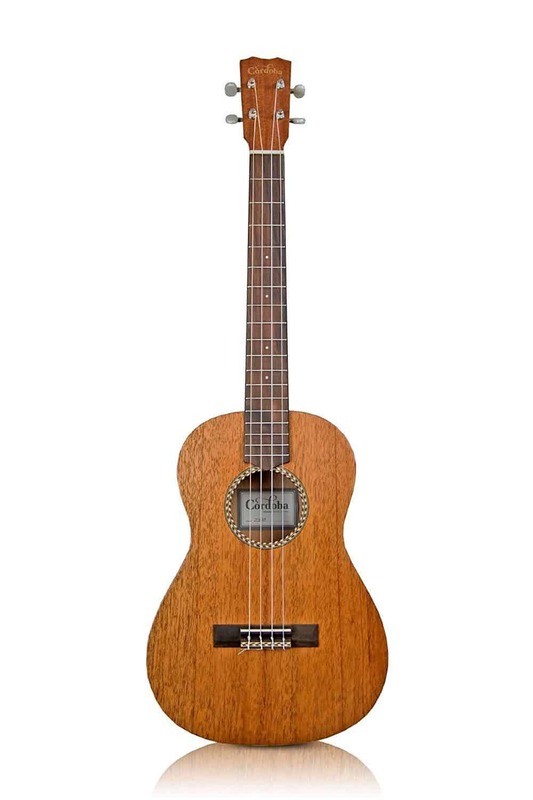 If you aren't completely convinced, heat over to Amazon and check out the reviews from other customers who purchased this as there first ukulele. A great value package for the beginner. The most popular ukulele on our list. Bottom Line: A good overall baritone ukulele for the beginner. Provides you with everything you need to get started. Moving into the intermediate level with the Cordoba 20BM Baritone Ukulele. We are now starting to get to the price level where tone becomes one of the main selling features. 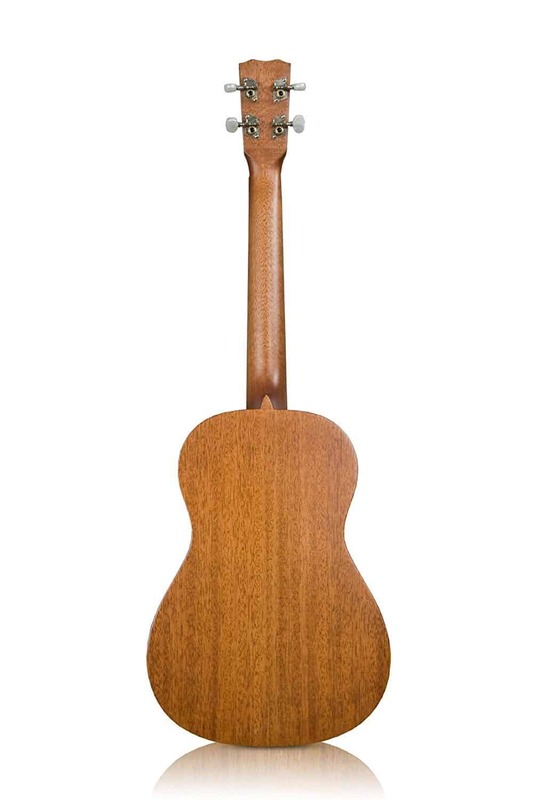 The 20BM Baritone Ukulele uses a solid mahogany top and mahogany back and sides. For those unfamiliar, mahogany is one of the most well used tonewoods. It's know for its rich tone that projects well over all three frequency bands. It's particularly strong through the midrange, and with the larger size of the baritone you can be sure the 20BM will have a strong projection. It uses Aquila Nylgut baritone uke strings, including a wound 4th-D and 3rd-G strings, and nylgut 2nd-B and 1st-E strings. This is another very well received ukulele line on Amazon with over 161 positive review﻿﻿s. If you are looking for a baritone ukulele with a little more tonal character then this is a great option. A strong midrange tone that projects well. ​It seems Cordoba has focused mainly on tone here and has went with a straightforward appearance. If you are willing to sacrifice a little flash and aesthetics for a better overall sound then this will be a good value for the price. Bottom Line: Great tone. Basic aesthetics. A good intermediate baritone ukulele. Continuing with the intermediate baritone ukuleles. The Oscar Schmidt OU57 is one of the most visually striking baritone ukuleles on our list. Note: the actual color of the ukulele is slightly lighter than in the picture. 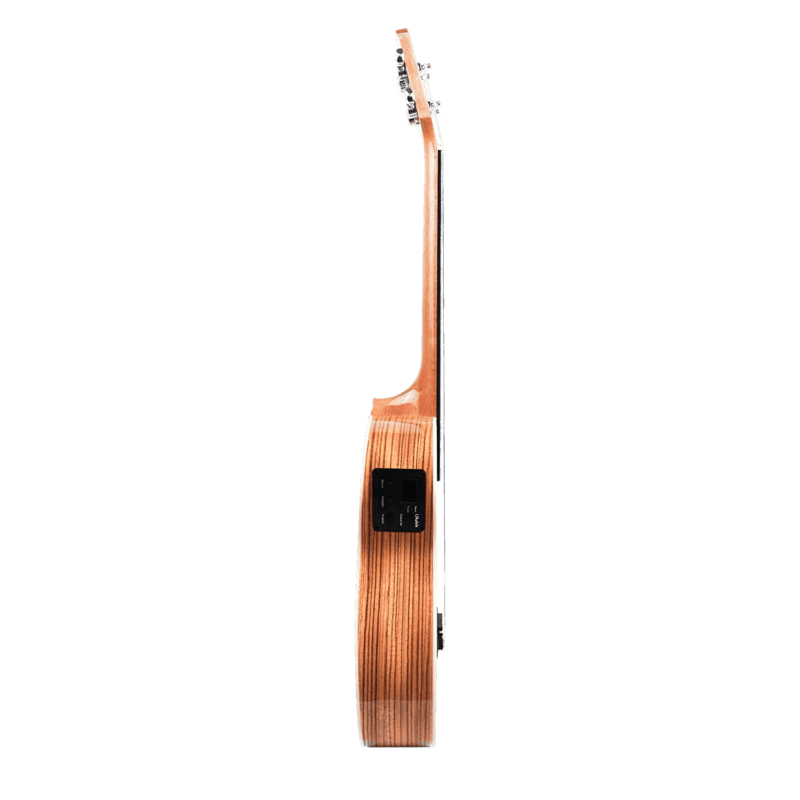 The most unique feature of the OU57 is the Mango wood body. Mango wood is known for its bright, dry, and crisp tone. Similar to Hawaiian koa. It can be difficult to find quality Mango wood so it's not a common tonewood. If you are looking for that traditional Hawaiian sound the OU57 will be right up your alley. Great intermediate ukulele with a crisp tone. Bottom Line: A good option for the intermediate player who will appreciate the aesthetic appeal of the Mango wood. Finally, an option for the more advanced player. If you already have a few ukuleles and want to add another strong performer, you'll definitely want to consider the Kala KA-ASAC-B Solid Acacia. Constructed of solid Acadia tonewood, the tone is extremely strong through the entire spectrum. The ​KA-ASAC-B also does a fine job with the small details. It comes with a herringbone trim, very cool inlays, and an ebony nut and saddle. It also has quality geared tuners to help you stay in tune. The action is welled tuned right out of the box and it is very unlikely you will need to do any further tweaking. A great addition to the well versed player, or a higher end option for those who have the budget. Bottom Line: A great overall ukulele. 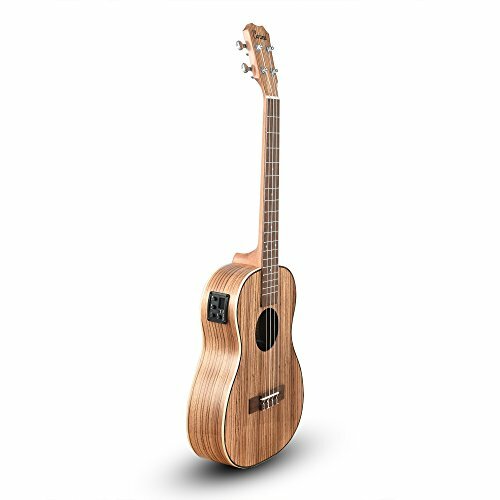 The Acadia body will fit perfectly within the frequency range of the baritone uke.